please tell me what you think of my boy. 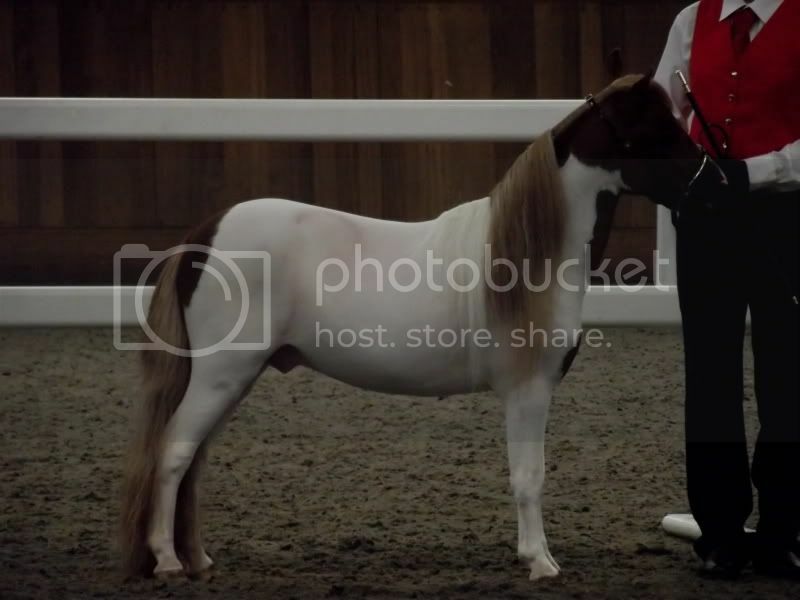 he is a 2.5yo miniature stallion. Hi Orin, sorry am not sure what you are asking - are you asking what colour your horse is or for a critique of it's conformation ? Do you have any of him standing completely square not stretched out at all ? To be perfectly honest that is not a real good picture to judge confirmation. As lipigirl said he is stretched out. He is also at a bit of an angle to the camera which makes his hip look short. Then the mane makes it a bit difficult to judge his neck and shoulder.